IKAROS HD, from Riverman Media, is yet another entry into the “running game” genre that was recently made popular by Adult Swim”s Robot Unicorn Attack. It”s loosely based on the legend of Icarus. You have escaped a prison on the isle of Crete and you are running to freedom. Your runner cannot fly exactly, but he can use the wings to quadruple jump and glide shortly. 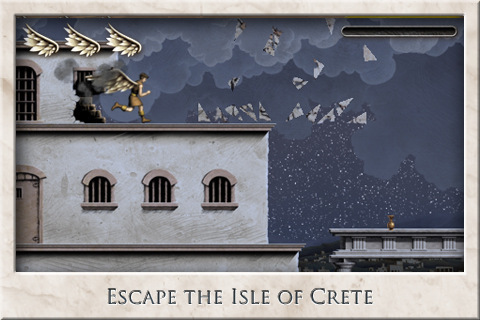 You”ll use this ability to avoid falling off cliffs and curiously designed greek architecture. The runner is constantly running forward and if he falls, it”s game over. As you progress ever forward, you will collect coins and gems that build up a meter that allows you to actually fly for a short amount of time. You”ll also get a huge speed boost. 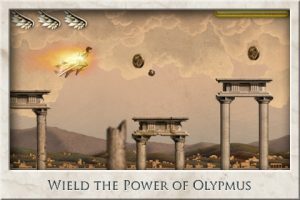 This ability is what you”ll be spending your time working toward in IKAROS HD, because the game gets kind of boring without it. The artwork in IKAROS is certainly technically proficient, The animation is good, and the background even features a rising and setting sun rather than the static background most games would be content with. However, the casino online color palette in IKAROS is muted and drab, giving everything a very depressing look, rather than a lighthearted romp through beautiful ancient Greece like one might expect from this sort of game. The best thing about the games sound is the announcer”s voice. I”m not sure why an announcer is even needed to begin with, but this guy really takes his job seriously. He bellows the title of the game like a Greek god shouting down orders to an insignificant human. 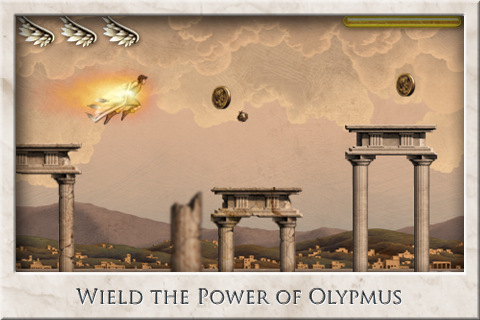 The lesson in the legend of Icarus was not to fly too close to the sun. The developers of IKAROS HD sure took that to heart. It is a bit of fun for a short while, but there is no real depth to the gameplay to keep players interested for more than a few minutes.